That's right... your eyes don't deceive you. We've ventured into candy challah. 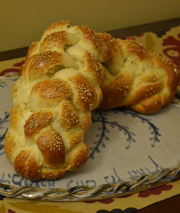 A friend of ours has been encouraging (requesting/demanding) us to make a Reese's Peanut Butter Challah. Yes, I think we'll try it at some point. 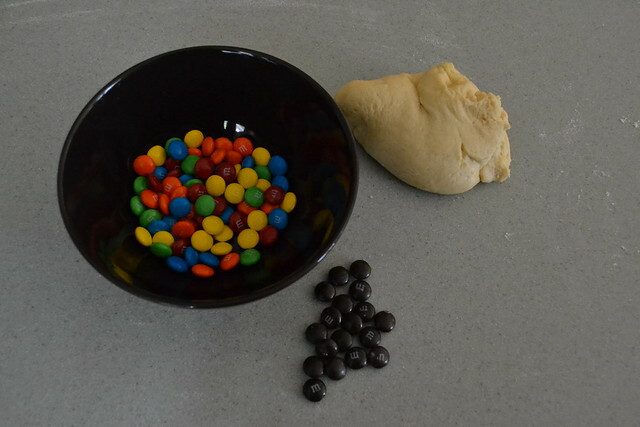 But this past Friday, we had some M&Ms in the house. Basically the same as chocolate chips. Knead 'em in right before braiding. 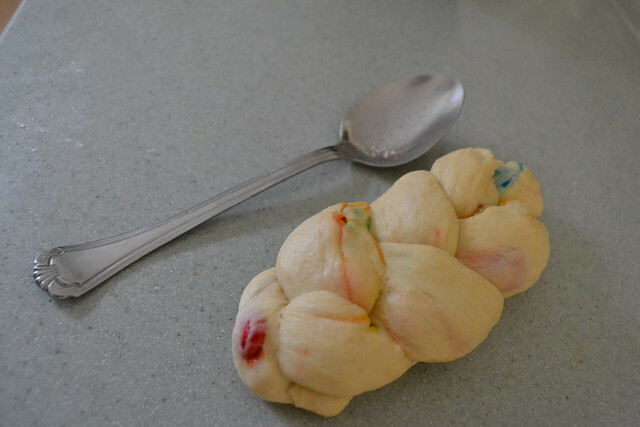 Remember back in March when I tried to make Tie Dye Challah for Purim? And how I failed immediately with a pink loaf of bread? Ridiculous. Well, I think M&Ms might be the answer. They do bleed a bit. But not as much as the sprinkles. 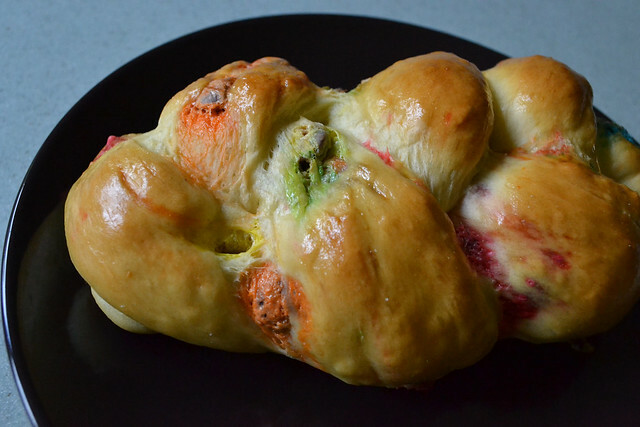 And seriously... the sweetness, the fact that it's CANDY CHALLAH. Wow. 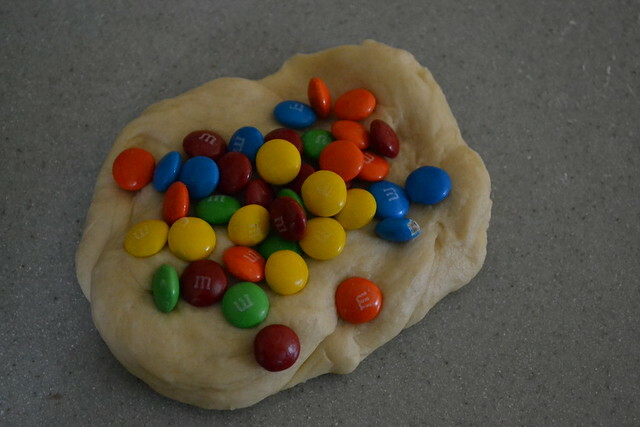 I experimented with a teeny-tiny loaf and a few fun size bags of M&Ms. (As I do with oatmeal cookies, I pulled out the brown M&Ms... unlike Matthew McConaughey in The Wedding Planner, who ONLY eats the brown ones, I feel that why would I bother putting pretty colors in if a percentage of them are just brown). I want to do a full size. This might be the craziest challah I've ever done. 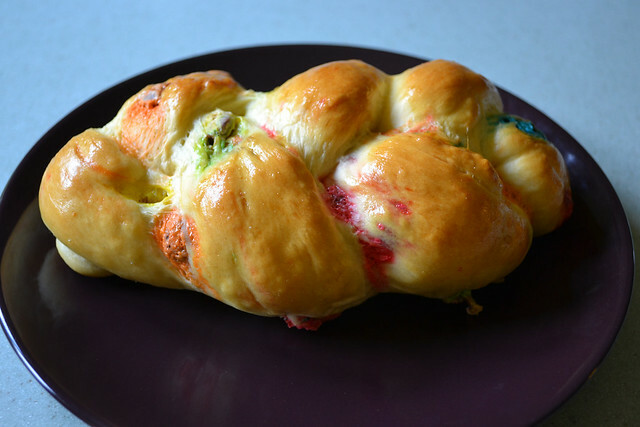 Have YOU ever tried a ridiculous, candy, filled challah?